70% Chance Of NATO-Russia Combat: "US Ready To Fight To The Last Brit"
A shooting war will begin if it escalates to where NATO soldiers shoot and kill Russian soldiers or vice versa. Whoever shoots first, the other side will feel compelled to respond, and then there’ll be a war between Russia and NATO or Russia and a NATO nation. We don’t know whether NATO would feel compelled to respond as one if Russians fired on soldiers of individual NATO nations - most likely UK soldiers since the UK is sending more of its Special Forces and already has the largest NATO military presence in Ukraine. Russia could defeat the UK, but if the US gets involved, all bets are off. Szamuely: U.S. ready to fight to last Brit. AG: It’s hard to imagine that the US would allow Russia to defeat the UK. GS: It is, but on the other hand, the US is the US and the UK is the UK. The United States might well be ready to fight to the last Brit, much as the United States is definitely ready to fight to the last Ukrainian. There are already 300 US paratroopers in Ukraine training Ukrainians, but the British would be well advised that words of encouragement from Washington don’t necessarily translate into US willingness to go to war. AG: The US Congress passed a law that US troops can’t serve under any foreign command, so that would require US command. GS: Yes, and without that, any British military defeat could be blamed on traditional British military incompetence rather than US weakness or foolish braggadocio. AG: This latest dustup between the Russian and Ukrainian navies took place in the Kerch Strait. I had to study several maps to understand this, but basically neither Russian nor Ukrainian vessels, military or commercial, can get to or from the Sea of Azov and the Black Sea without passing through the Kerch Strait. 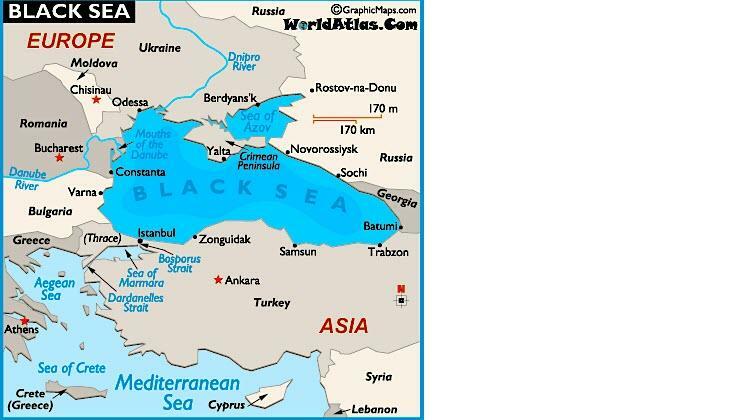 That doesn’t mean that neither could get to the Black Sea, because both have Black Sea borders, but they couldn’t get from ports in the Sea of Azov to the Black Sea and back. And neither Ukraine nor Russia can get from the Black Sea to Western European waters without passing through the Bosporous and Dardanelles Straits in Turkey to the Aegean and Mediterranean Seas, and then further to the Atlantic Ocean through the Strait of Gibraltar, which is bordered on one side by Spain and the British territory of Gibraltar, and on the other by Morocco and the Spanish territory Ceuta. So there are many geo-strategic choke points where Russian ships, naval or commercial, could be stopped by NATO nations or their allies, and Ukraine has already asked Turkey to stop them from passing through the Bosporus Strait. Thoughts on that? GS: Well, of course Ukraine can ask for anything it likes. There’s no way in the world Turkey would try to stop Russian ships going through the Bosporus Strait. That would be a violation of the 1936 Montreux Convention and an act of war on the part of Turkey. It isn’t going to happen. As for the Kerch Strait, it is Russian territorial water. Ukraine is free to use it and has been doing so without incident since 2014. The only thing the Russians insist on is that any ship going through the strait use a Russian pilot. During the recent incident, the Ukrainian tug refused to use a Russian pilot. The Russians became suspicious, fearing that the Ukrainians were engaged in a sabotage mission to blow up the newly constructed bridge across the strait. You’ll remember that an American columnist not so long ago urged the Ukrainian authorities to blow up the bridge. That’s why the Russians accuse Kiev of staging a provocation. 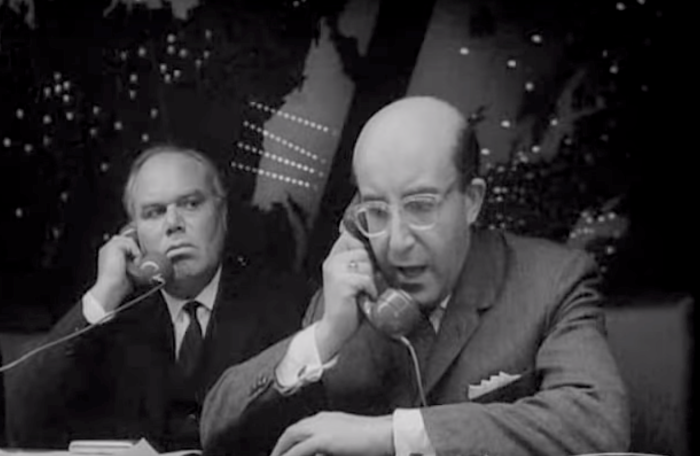 AG: There’s a longstanding back channel between the White House and the Kremlin, as satirized in Dr. Strangelove. Anti-Trump fanatics keep claiming this is new and traitorous, but it’s long established. Obama and Putin used it to keep Russian and US soldiers from firing on one another instead of the jihadists both claimed to be fighting in Syria. Kennedy and Khrushchev used it to keep the Bay of Pigs crisis from escalating into a nuclear war. Shouldn’t Trump and Putin be talking on that back channel now, no matter how much it upsets CNN and MSNBC? GS: Well, of course, they should. The danger is that in this atmosphere of anti-Russian hysteria such channels for dialogue may not be kept open. As a result, crises could escalate beyond the point at which either side could back down without losing face. What’s terrifying is that so many US politicians and press now describe any kind of negotiation, dialogue, or threat-management as treasonous collusion by Donald Trump. Remember Trump’s first bombing in Syria in April 2017. Before he launched that attack, Trump administration officials gave advance warning to the Russians to enable them to get any Russian aircraft out of harm’s way. This perfectly sensible action on the part of the administration—leave aside the illegality and stupidity of the attack—was greeted by Hillary Clinton and the MSNBC crowd as evidence that the whole operation was cooked up by Trump and Putin to take attention off Russia-gate. It’s nuts. AG: Most of us have heard Russia and NATO’s conflicting accounts of why the Russian Navy seized several Ukrainian vessels in the Sea of Azov. What’s your interpretation of what happened? 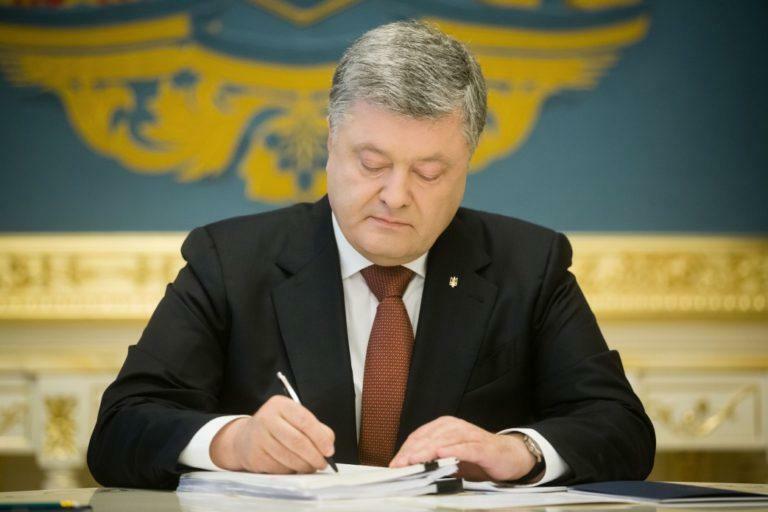 Poroshenko: Provocation with elections near? GS: As I said, I think the Russians had every right to be suspicious of the intent of the Ukrainian vessels. The Ukrainians know that these are Russian territorial waters. They know that the only way to go through the Kerch Strait is by making use of a Russian pilot. They refused to allow the Russians to pilot the ships through the strait. Whatever the Ukrainians’ ultimate intent was—whether it was to carry out an act of sabotage, to provoke the Russians into overreaction and then to demand help from NATO, or simply to go through the strait without a Russian pilot in order to enable President Poroshenko to proclaim the strait as non-Russian—whatever Kiev’s intent was, the Russians were entitled to respond. The force the Russians used was hardly excessive. In similar circumstances, the US would have destroyed all of the ships and killed everyone on board. 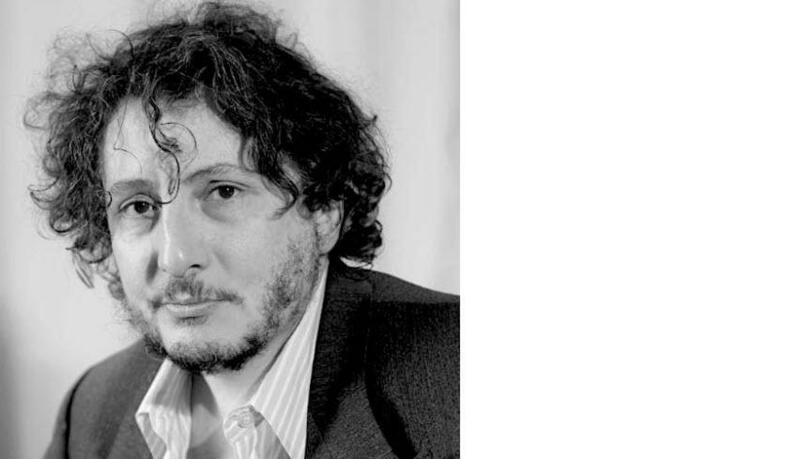 Recall, incidentally, Israel has seized Gaza flotilla boats and arrested everyone on board. In 2010, the Israeli Navy shot nine activists dead during a flotilla boat seizure, and wounded one who died after four years in a coma. AG: Don’t the US, Ukraine, and the UN Security Council refuse to recognize the Kerch Strait as Russian territory, and insist that Russia’s claim to it violates various maritime treaties? I know the UNSC refuses to recognize the Golan Heights as Israeli territory, not that that does Syria any good. GS: According to the 2003 agreement, Russia and Ukraine agreed to consider the strait as well as the Sea of Azov as shared territorial waters. From 2014 on, Russia considered the strait as Russian waters, though it’s made no attempt to hamper Ukrainian shipping. The Azov Sea is still shared by Russia and Ukraine. During the recent incident, the Ukrainian Navy acted provocatively, deliberately challenging the Russians. As for what the UNSC accepts, how would NATO respond if Serbia entered Kosovo on some pretext or other? AG: OK, now let’s go back to NATO’s Exercise Trident Juncture, a massive military exercise on Russia’s Scandinavian and Arctic borders that concluded on November 24, one day before the Kerch Strait incident. The first phase was deployment, from August to October. The second phase was war games from October 25th to November 7th. The war games were based on the premise that Russia had invaded Scandinavia by ground, air, and sea. They included 50,000 participants from 31 NATO and partner countries, 250 aircraft, 65 naval vessels, and up to 10,000 tanks and other ground vehicles, and I hate to think about how much fossil fuel they burned. The final phase was a command post exercise to make sure that, should NATO forces ever face a real Russian invasion of Scandinavia, their response could be safely coordinated in Norway and in Italy, far from the war zone. So George, do Scandinavians have reason to worry that Russia might invade any of their respective nations? GS: Not at all. This is ridiculous. It was the largest military exercise since the end of the Cold War, and why? Why did they do this? Russia isn’t threatening Scandinavia, but it’s more likely that it will if NATO continues conducting war games on its borders. Right now tension between East and West is escalating so fast that a single event could be like a match that triggers an explosion, and then there’ll be a war. AG: There was a recent Russian exercise, or joint Russian and Chinese exercise, based on the premise that the US had invaded Korea, right? GS: Right. But it wasn’t anywhere near Europe, so it wasn’t threatening the Europeans. It took place in eastern Siberia, so it shouldn’t have caused panic in NATO countries. It shouldn’t have caused panic in the US either, because the Pacific Ocean separates the US and the Korean Peninsula. What’s striking about Trident Juncture is that it involved Sweden and Finland, both of whom are traditionally neutral. They were neutral during the Cold War, not joining any alliances. Finlandization came to mean a foreign policy that in no way challenged or antagonized the USSR. So now here’s Finland rolling back that policy and joining NATO in this massive military exercise to stop nonexistent Russian aggression. AG: Has Russia ever attempted to seize territory outside its own borders since the end of the Cold War? GS: No. Russia never attempted to seize territory outside its own borders. The case cited by the West is Crimea, but that was really an outstanding issue that should have been addressed during the dissolution of the Soviet Union. Boris Yeltsin, the drunken, incompetent stooge that the US installed, just neglected it. The Russian-speaking and Russian-identified people of Crimea were unhappy about Ukraine claiming sovereignty over them. They had been an autonomous republic within the USSR, and after its dissolution, they still retained their constitutional autonomy. That’s what gave them the right to hold a referendum to join the Russia Federation in 2014. If the West is involved in an uprising, as in Ukraine, it recognizes the “independence” of the government it puts in power. It won’t recognize the constitutional autonomy of Crimea, which predated the 2014 Ukrainian revolution or illegal armed coup, whichever you call it, because it wasn’t part of their plan. AG: The NATO nations and their allies say that Russia invaded and occupied Crimea, violating Ukrainian sovereignty according to international law. Democracy Now’s Amy Goodman referred to the “illegal annexation” of Crimea at least three times after the Kerch Strait incident. How do you explain the presence of Russian soldiers in Crimea prior to the referendum? GS: They didn’t invade and occupy Crimea. Their forces were there legally, according to a 25-year lease agreement between Russia and Ukraine. Crimea had been a part of Russia for more than 200 years. For most of the time, during the USSR era, it was an autonomous republic within the Russian Federation. In 1954, Khrushchev transferred some degree of sovereignty over the Crimean Republic to Ukraine. I’m not entirely sure why he did that, but the issue wasn’t that important then because Ukraine, Russia and Crimea were all part of the USSR. Khrushchev didn’t envisage an independent Ukraine walking off with such a prize piece of real estate. Crimea is not only a huge tourist destination, it is also the site of Russia’s primary naval base on the Black Sea in Sevastopol. Yeltsin failed to address the problem in 1991. Since then, every time Crimeans talked about holding a referendum on their future, Kiev threatened to use force to stop them. Kiev would have used force again in 2014 if the Russians in the Port of Sevastopol had not left their Crimean base and made their presence known. AG: The US, aka NATO, has an empire of military bases all over the world, and troops right up against Russia’s borders as in Exercise Trident Juncture. Does Russia have anything remotely like it? NATO practices war with Russia. 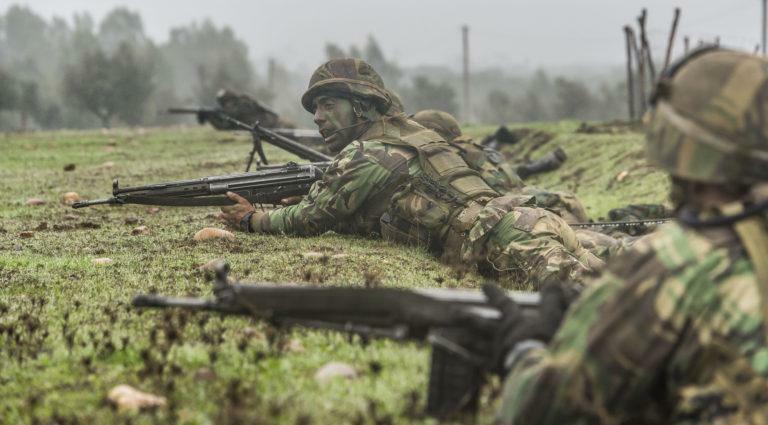 Exercise Trident Juncture. GS: No. Russia does not have military bases outside its borders, which are now more or less as they were in 1939, when the USSR was surrounded by hostile states that were more than happy to join Hitler. So it’s ridiculous to tell Russia, “Don’t worry about our troops and war games all over your borders because we don’t really mean any harm.” Washington is calling Russia an existential enemy, and the UK is promising to stand shoulder to shoulder with its NATO allies and partners against “Russian aggression,” which is really Russian defense. So now we have an explosive situation on the Ukrainian and Russian borders that could easily turn into a shooting war. AG: I read some US/NATO complaints that Russia was conducting exercises on its own side of the border. And last week NATO accused the Russian military of jamming its signals during its rehearsal for a war on Russia’s borders. GS: Yes, that’s what the US considers Russian aggression, even though its troops and bases are all over the world and all over Russia’s borders. AG: Competition between US and Russian energy corporations is one of the main undercurrents to all this. The US State Department even said that Europe should abandon the Nord Stream-2 gas pipeline project with Russia because of the Kerch Strait incident, but that received a cool response, particularly from Angela Merkel. What are your thoughts about that? GS: Well, obviously, the Trump administration is determined to push the Europeans to give up on natural gas from Russia and to opt, instead, for US liquefied natural gas (LNG). The problem is that LNG shipped across the Atlantic is much more expensive than natural gas piped to Europe from Russia. So it’s clearly not in the interests of the Europeans to have a bigger energy bill. Look what’s happening in France. Ordinary people are not making so much money that they can afford to shell out more for energy, particularly when there is no need to do so. Some countries such as Poland are so imbued with hostility toward Russia that they’re willing to pay more for gas just to hurt Russia, but Germany won’t go down this path. AG: Anything else you’d like to say for now? GS: Yes, I think it’s amazing that this many years after the Cold War we’ve reached a point where there’s almost no public criticism of a policy that has led to the US abandoning a major arms control agreement, namely the Intermediate-Range Nuclear Forces (INF) Treaty signed in 1987. There’s almost no public criticism of the US getting involved in an armed confrontation on Russia’s doorstep, in Ukraine, Syria, Iran, or conceivably even Scandinavia. There’s almost no public criticism of roping formerly neutral European powers like Sweden and Finland into NATO military exercises. Given the fact that the New Strategic Arms Reduction Treaty that went into effect in 2011 will expire in 2021, and given that there’s nothing on the horizon to take its place, this is an extraordinarily perilous point in time. And much of this has to be blamed on the liberals. The liberals have embraced an anti-Russian agenda. The kind of liberal view that prevailed during the Cold War was that we should at least pursue arms control agreements. We might not like the Communists, but we need treaties to prevent a nuclear war. Now there’s no such caution. Any belligerence towards Russia is now good and justified. There’s next to no pushback against getting into a war with Russia, even though it could go nuclear.